Travelling Vietnam is (relatively) safe. 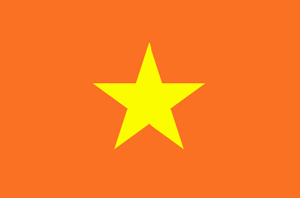 Vietnam is a country in Asia (South-Eastern Asia) with around 87 million citizens and a land mass of 329,560 km². We detected travel advisories from 4 sources for this country. Vietnam shares land borders with 3 neighbouring states. For this country, the Danger Index is 2.0 (average value for all countries). All countries habe been reported as somehow dangerous: China (2.3), Cambodia with (1.8) and Laos with (1.8 of 5). See danger map of the region. Exercise normal safety and security precautions in Viet Nam. Exercise normal precautions in Vietnam. Read the Safety and Security section on the country information page. Although there is no recent history of terrorism in Vietnam, attacks can’t be ruled out. The Ministry for Foreign Affairs and Trade Promotion advises all Maltese nationals travelling to Vietnam to avoid all protests as they can turn out to be violent.